Etisalat has repaid 42 percent of the debt owed Nigerian banks and is not owing the humongous $1.2bn, as being reported in the media. The clarification was made by the troubled telecommunications company today. “As at today, we can categorically state that the outstanding loan sum to the consortium(of banks) stands at $227m and N113bn, a total of about $574m if the naira portion is converted to US Dollars. This, in essence, means almost half of the original loan of $1.2bn, has been repaid. 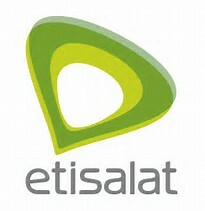 “Etisalat continued to service the loan up until February 2017, when discussions with the banks regarding the repayment restructuring commenced,” Ibrahim Dikko, vice-president, Regulatory & Corporate Affairs of Etisalat Nigeria said.